By signing the application form you are confirming that the information provided is correct and you understand that providing false information may compromise your acceptance on your chosen programme. It is your responsibility to ensure that you have a valid passport and obtain appropriate documentation for entry to Northern Ireland/UK. We do not accept any liability for financial loss incurred by failure to have the correct travel documentation, visa or insurance. We reserve the right to refuse any applicant who does not meet the programme eligibility requirements. The balance of fees must be paid in full before to the course start date either by you, the individual student or the agent acting on your behalf. All bank charges are the responsibility of the payee (account details are given on our website/brochure/invoice). Cancellations must be made in writing to Foyle International. If a cancellation is made more than 4 weeks before the starting date, the course fees will be refouded, minus £50 administration fee. If a cancellation is made less than four weeks before the start date, it will be necessary to charge the full booking deposit (£150). For cancellations made after the course has started, no refund of fees will be given. The registration fee of £50 covers your placement test, which must be completed on the first day of your course. The placement test consists of grammar questions, a writing section and a spoken exam. You will not usually start class until the next school day so that the academic team can mark your exam and place you in an appropriate class. If you are taking a short course, you may discuss pre-arrival being tested before you arrive at the school with the Admissions manager. If you fail to arrive, if you arrive late, or if you are absent during your programme, no refund of fees will be granted. Periods of absence may not be made up with a free extension at the end of the course. The school will close on certain public holidays during the year. There will be no reduction of fees if there is a public holiday fall during your course. Also, school closures are listed on the website and in our student information pack. It may be necessary for Foyle to make changes to programmes or services and we reserve the right to do so. If a significant change needs to be made, the individual or the agent acting four you will be informed as soon as possible. Please note we will not be held responsible for any travel or personal costs incurred. We reserve the right to cancel a course, to merge classes or provide alternative programmes due to insufficient numbers or for other circumstances. No refund of fees will apply in these cases. If there are not enough students applying for the course, or if there are no other students at the same level, we may provide private individual lessons with a tutor in place of group classes. There is no extra cost for this, but the number of private lessons will be provided at the ration of 1 private lesson = 3 group lessons. Before arriving in the UK, we strongly recommend that you take out insurance for your own travel, health, financial and personal security. We do not accept responsibility or liability for these areas. We can provide student insurance for you if required. Please contact the Admissions office or check our website for details. We reserve the right to exclude participants from their programme or remove them from their accommodation due to poor discipline or attendance. In these situation there will be no refund of fees and we take no responsibility for the provision of alternative programmes or accommodation. Any transportation or related costs will be the sole responsibility of the student. For further information, please refer to our Code of Conduct and Disciplinary Policy. If a student’s actions are found to be in breach of any of these policies, this may potentially lead to instant dismissal from the school. Foyle International endeavours to ensure that every student has a wonderful experience at Foyle. We complete regular monitoring and feedback to ensure you are receiving the high quality programmes we offer. As part of our quality assessment, all students are required to complete at least 2 feedback questionnaires during their stay. Your responses are anonymous however failure to complete these may mean you do not receive your final certificate of achievement before departure!! Students agree that photographs and achievements can be used for promotional purposes unless otherwise stated. Parents of under 18s will be specifically asked for written consent on the parental consent forms. Accommodation bookings are confirmed once we receive a completed application form and booking deposit. Details are usually not supplied until 2 – 3 weeks before arrival. We will do our best to accommodate special requests, but cannot guarantee that these will be fulfilled. Homestay & self catering providers are instructed not to take fees directly from students or to enter into separate contracts. Failure to comply with this requirement will result in a financial penalty to the student and termination of the accommodation arrangement. If a change is requested, we may charge an additional accommodation arrangement fee, depending on the reasons for the change, the situation with the host family/accommodation provider and the urgency of the request (please note that we must normally give the host family/accommodation provider one week’s notice). Students staying in Self-catering accommodation should pay a security deposit of £50 within the first week of arrival to the finance office. This is refundable at the end of the stay, providing there is no damage to the property. Students staying in homestay accommodation are responsible for notifying their family in the case of damage caused to property or possessions. In the instance of damage being caused by a student it is the students who are responsible for any extra costs. We expect reasonable behaviour from students and accommodation providers. Students that don’t show reasonable behaviour (for instance swearing, inappropriate behaviour, vulgarity, violence, taking of illegal substances, lack of respect shown to the host) may be removed from the accommodation at short notice. Once a client has arrived, no refund is given in case of cancellation caused by ill health of the client, family member or travelling companions and Foyle International urges students to take out insurance against such an eventuality. Students are also advised that their belongings are not automatically insured against theft, loss or damage and should take out personal/travel insurance. It is essential that arrival times, destination airport, station etc are communicated beforehand to Foyle International to ensure that arrangements are made. Students must give the school and the accommodation provider one week’s notice if they intend to leave the school earlier than planned and will be subject to an administration fee. To get the full benefit from your experience you must have realistic expectations from the beginning. You will be put in a work place depending on your level of English (tested on the first day of arrival at the school), your qualifications, your past work experiences and your personal attitude (enthusiasm and initiative). Foyle International only has a limited number of host families willing to host students during the Christmas period. Students should inform Foyle well in advance if homestay accommodation is required during the Christmas period.  If you have a complaint, please report immediately in person or by phone to Foyle International. 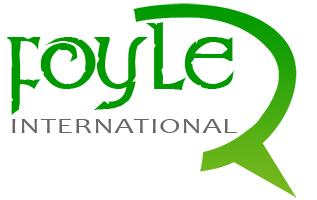 Your complaint will be quickly and efficiently dealt with and if necessary we will offer you alternative accommodation. Foyle International will not pay for hotel or other accommodation taken if you decide not to take the accommodation we offer. Foyle International reserves the right to remove any client from their course and accommodation if their behaviour is deemed unreasonable.